Oh, those lazy, hazy days of summer. 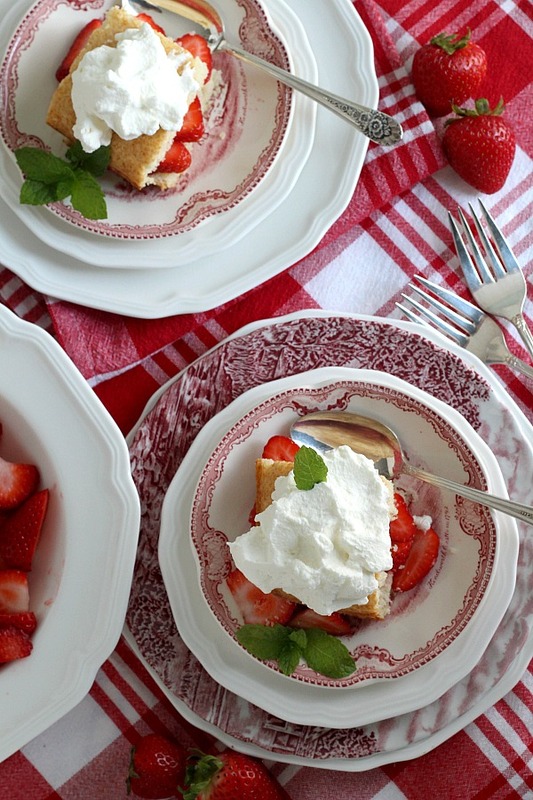 Doesn’t a bowl of strawberry shortcake sound like a lovely idea? 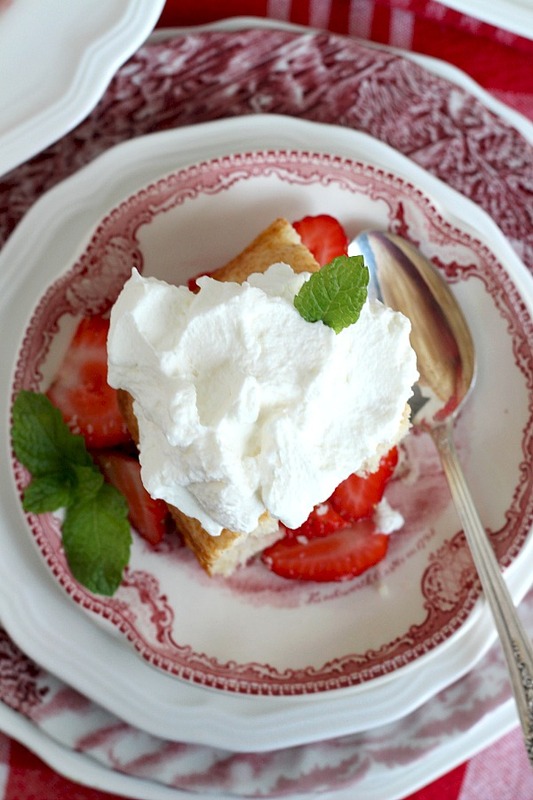 This easy recipe for a summertime favorite is served with fresh, sliced strawberries and whipped cream for a delicious dessert. 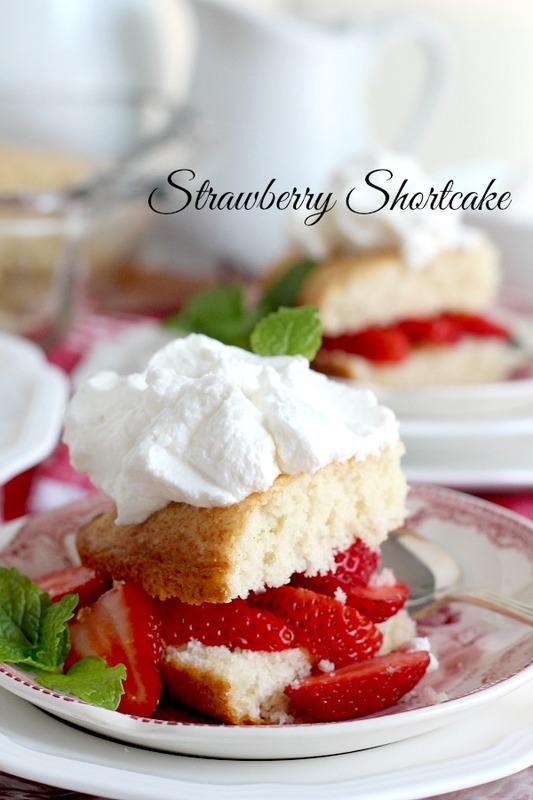 Some folks prefer a biscuit-like shortcake while others like a cake texture for their strawberry treat. I would say this recipe is somewhere in the middle. Not too dry and crumbly and not a light fluffy cake. Serve in a bowl topped with fresh strawberries (if you want, sweetened with sugar and a little lemon juice) and a dollop of whipped cream. I grew up adding some milk or cream to my strawberry shortcake but some (my husband) thinks this is odd. How about you? Yea or nay? In a mixing bowl, with mixer, cream sugar and shortening. Add egg and vanilla; beat well. 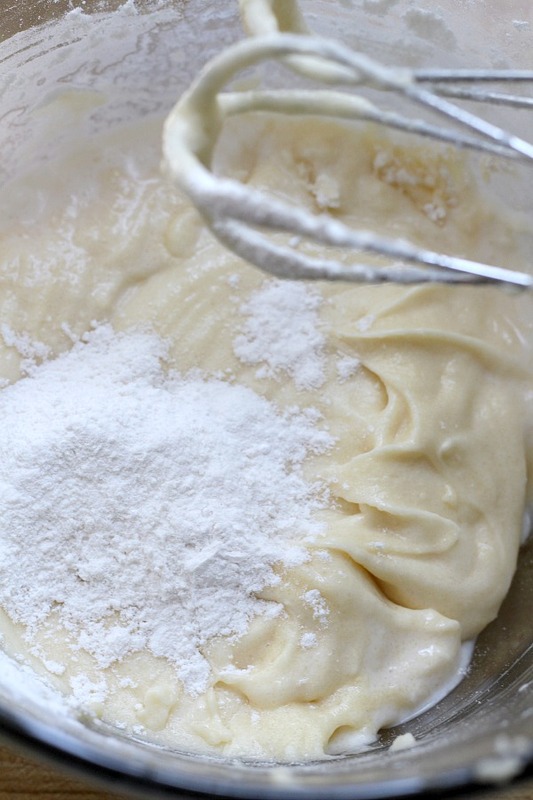 Add dry ingredients alternately with milk to the creamed mixture. Spread in a greased 8-in. 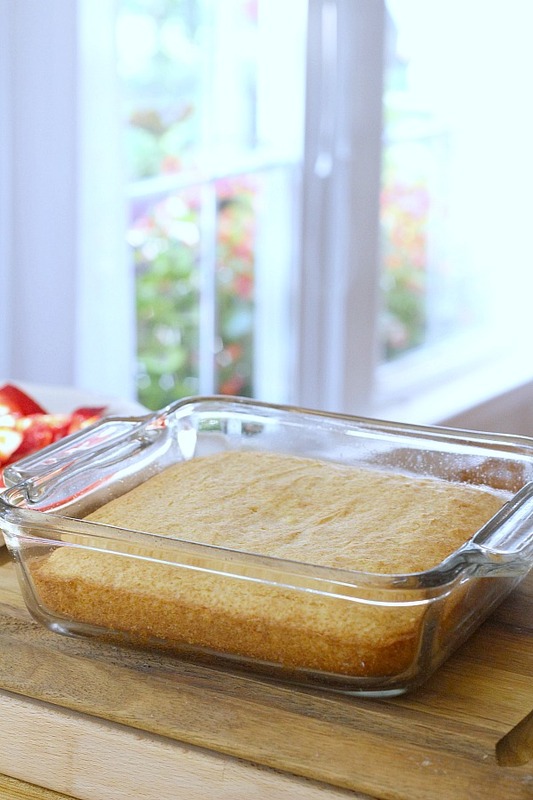 square baking pan. Bake at 350° for 20-25 minutes. Cool on wire rack. Hull and slice the strawberries. Leave them or, mix with sugar and lemon juice; let rest 30 minutes. 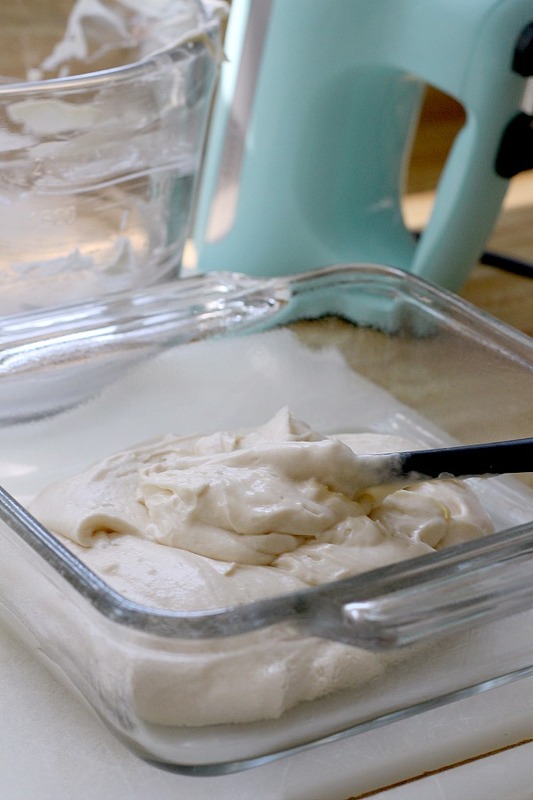 Follow the easy instructions below at bottom of recipe for how-to make whipped cream. 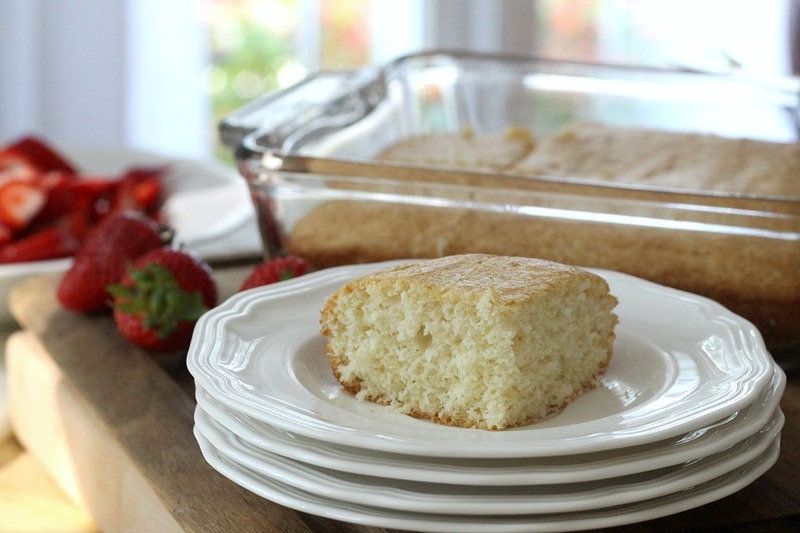 Cut cake into nine servings. 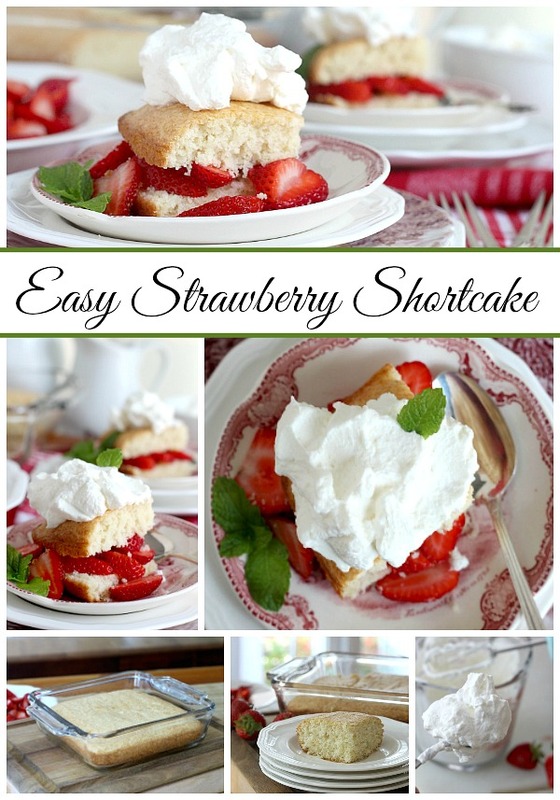 Split each serving horizontally and fill with whipped cream and strawberries. Replace top of cake; garnish with more berries and a dollop of whipped cream. In a mixing bowl, with mixer, cream sugar and shortening. Add egg and vanilla; beat well. 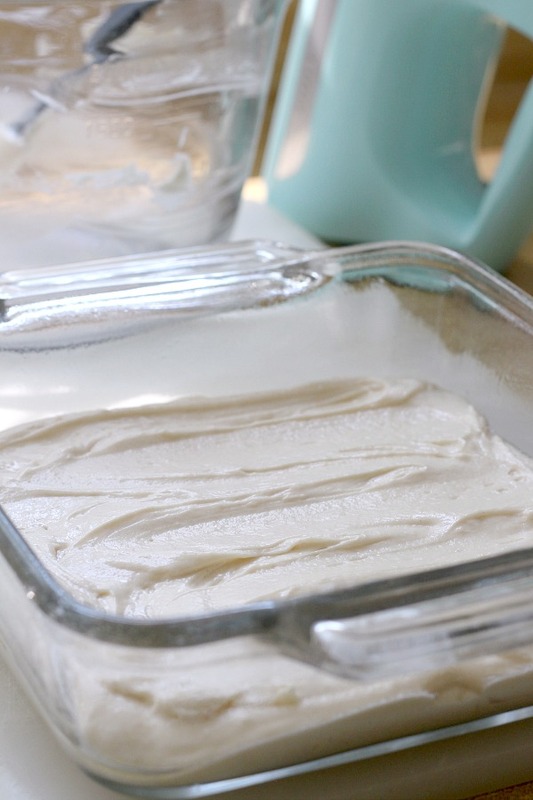 Combine dry ingredients and add alternately with milk to the creamed mixture. Spread in a greased 8-in. square baking pan. Bake at 350° for 20-25 minutes. Cool on wire rack. Cut into nine servings. 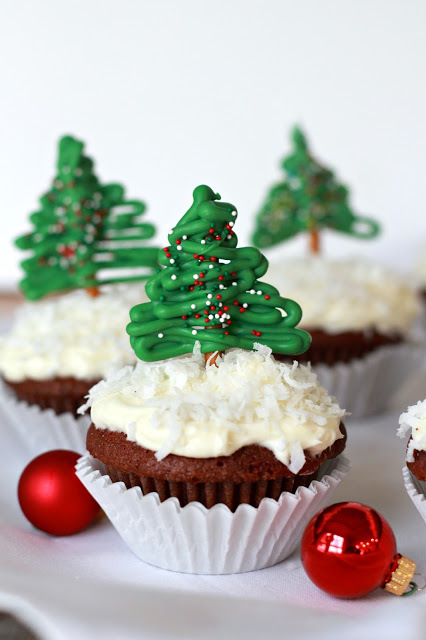 Split each serving horizontally and fill with whipped cream and strawberries. 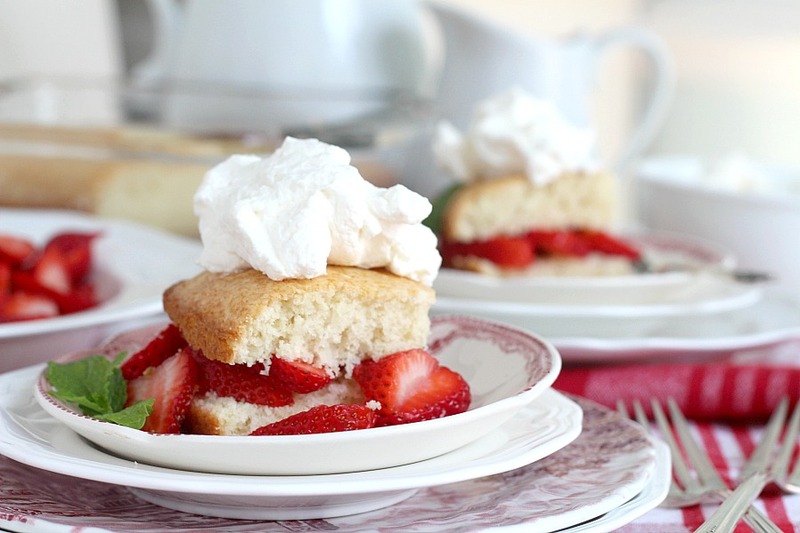 Replace top of cake; garnish with more berries and a dollop of whipped cream. Serve immediately. 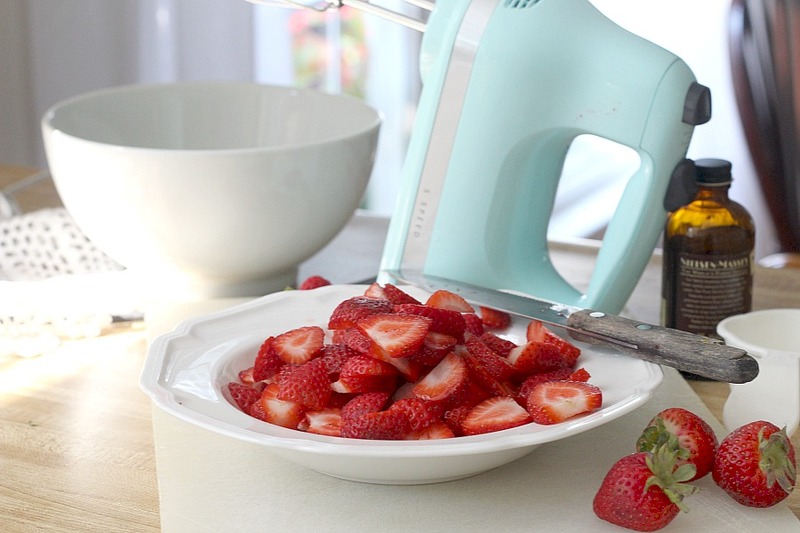 Hull and slice the strawberries. Leave them or, mix with sugar and lemon juice. Let rest 30 minutes. 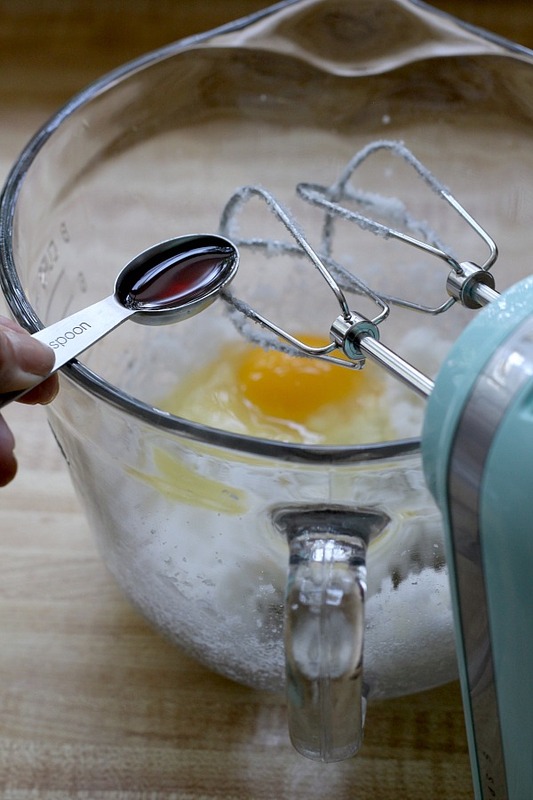 Place a metal mixing bowl and metal whisk into the freezer for 15 to 20 minutes to chill. 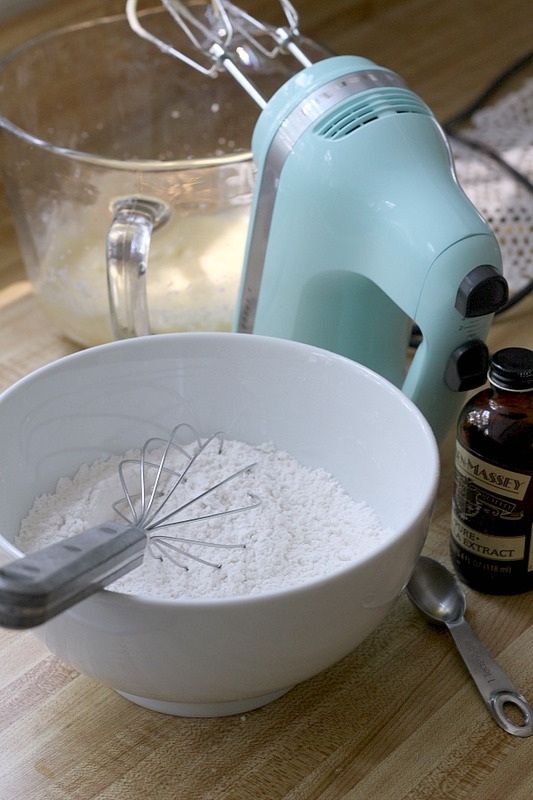 Place the sugar into the mixing bowl and add the whipping cream and vanilla. 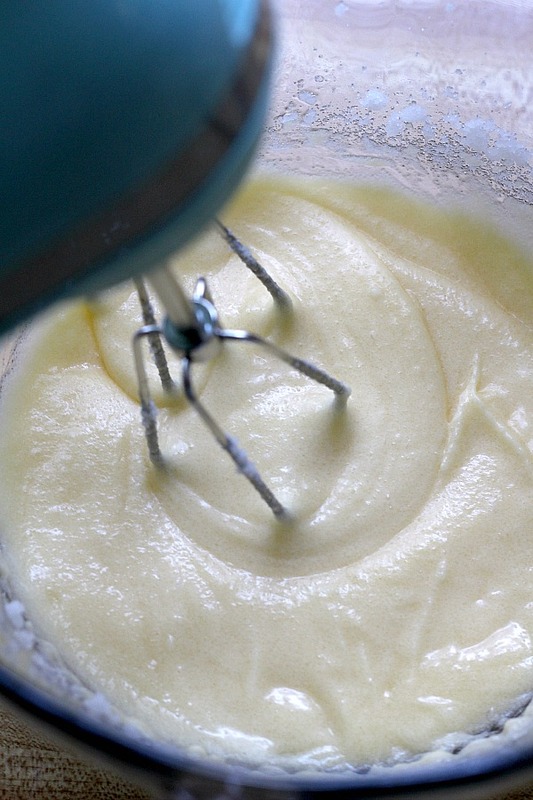 Whisk just until the cream reaches stiff peaks being careful not to over beat which will turn the cream into butter. Thanks for the recipe. We are fortunate to live near a peach orchard that also grows strawberries, blueberries etc. The berries have been delicious. I forgot to say in your last post that my mom loved figs…she had a big bush at her house and she could just stand and eat them right off the plant. She also loved fig preserves.